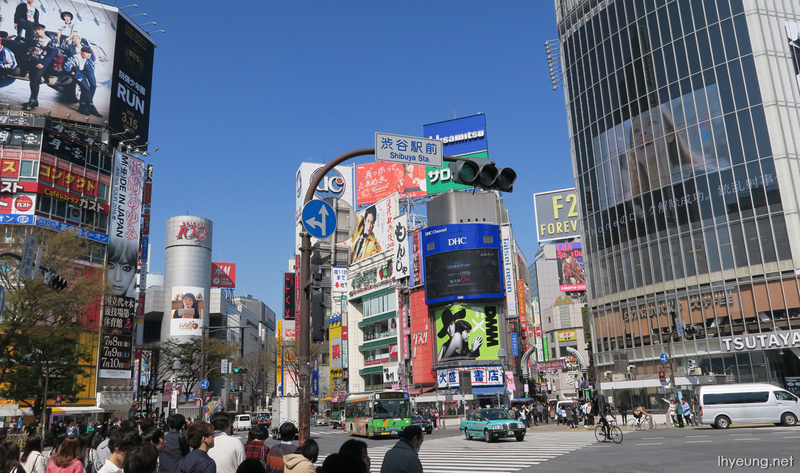 I was inspired to do this post after realising how many locations I recognised from shows and games I've played after visiting Japan. 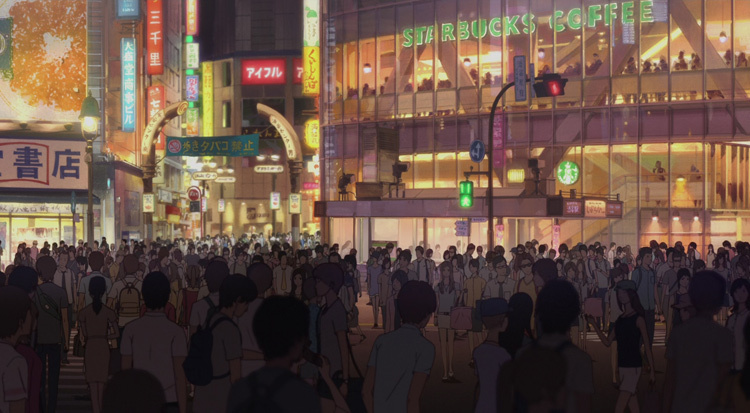 You will probably too once you've been since so many fictional works are based on real life locations and the great thing is you won't have to go out of your way to find these places unlike say Makoto Shinkai's 5cm locations. 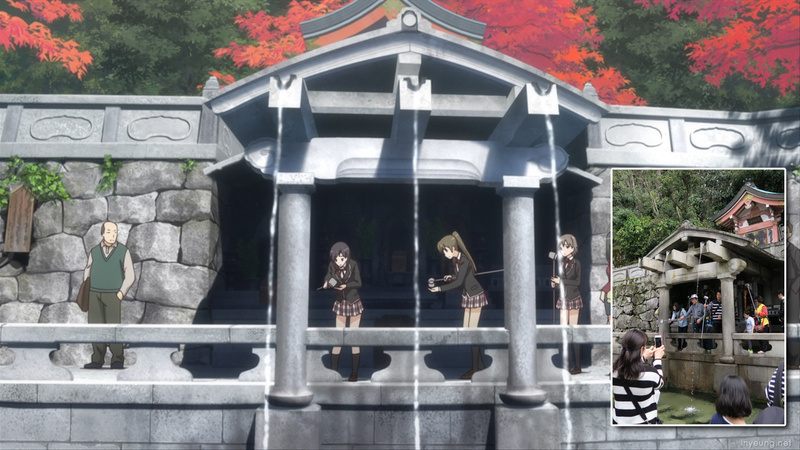 The photos you find here were ones I casually took while out and about and they just happened to match up or appear in the Anime shows I've watched. There are already plenty of Japanese blogs out there that put a lot more effort by going on a "sacred pilgrimage" (which is really just an Anime location scouting trip) but, here's a casual look at some of the places. 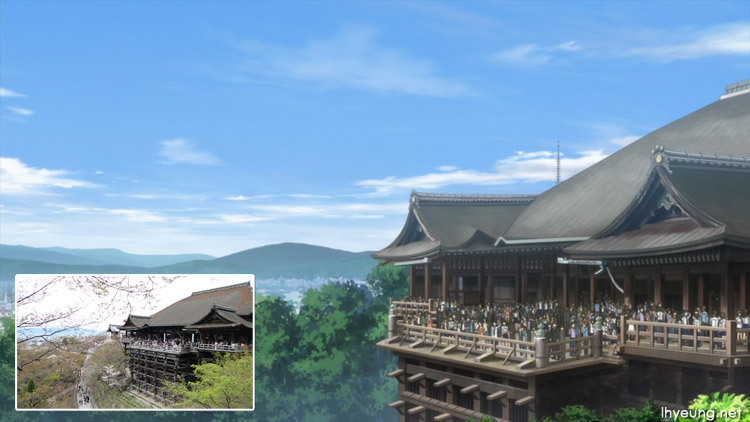 I just happened to recognise the buildings design, bin placements and chains when I watched the show and when I compared the photos, they matched even by place name. 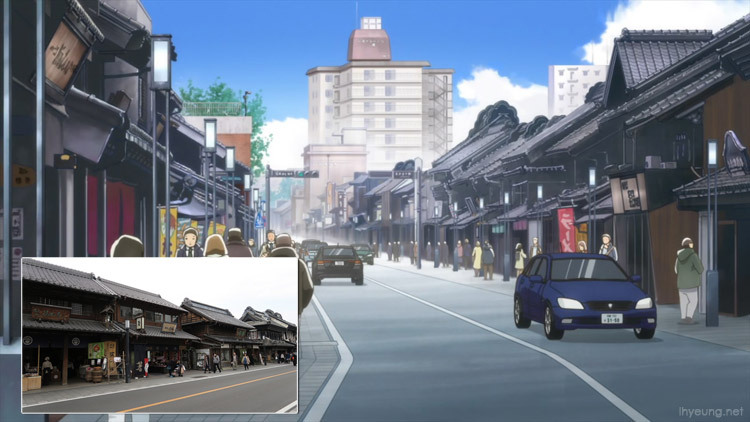 Taku even runs onto the Shinsen crossing when he leaves the store afterwards in episode 0. Oh, and I don't recommend ChaoS;Child if you don't like horror or gore. 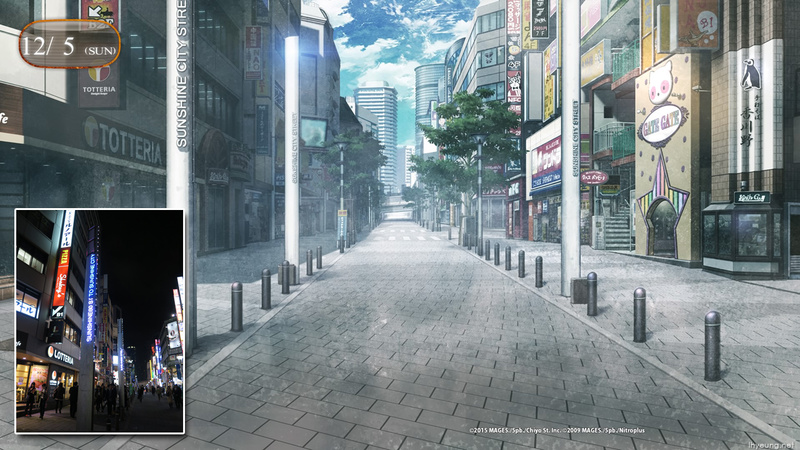 It might be by the same creator as Steins;gate, Shiraku Chiyomaru from 5pb but it is completely different. It's got some interesting twists (some quite silly) but too much gore overall. Again, note the photos were taken casually during my trip so they aren't framed to match the titles featured here. They just happen to be featured in the title. 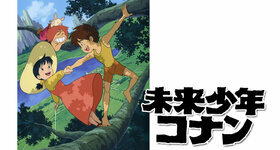 Not a bad movie from Mamoru Hosoda. 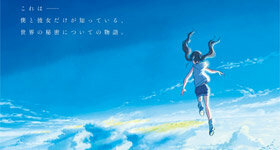 Art's great as with his other works but I still prefer TokiKake, The Girl Who Leapt Through Time because it was sci-fi and more hilarious. 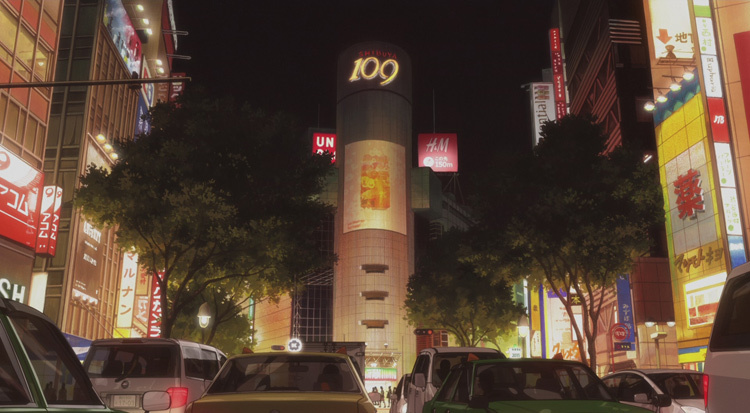 I'm sure any of you who have also been to Shibuya will recognise the famous crossing and 109 building. 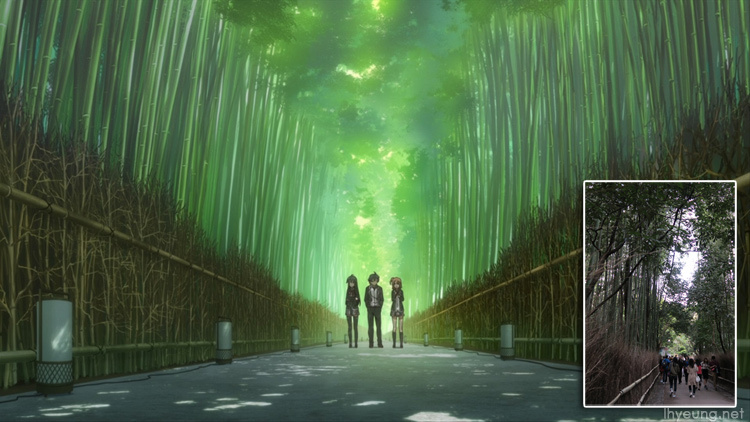 And another shot from ChaoS;Child. Makes you wonder what the crossing would be like if it was ever quiet. 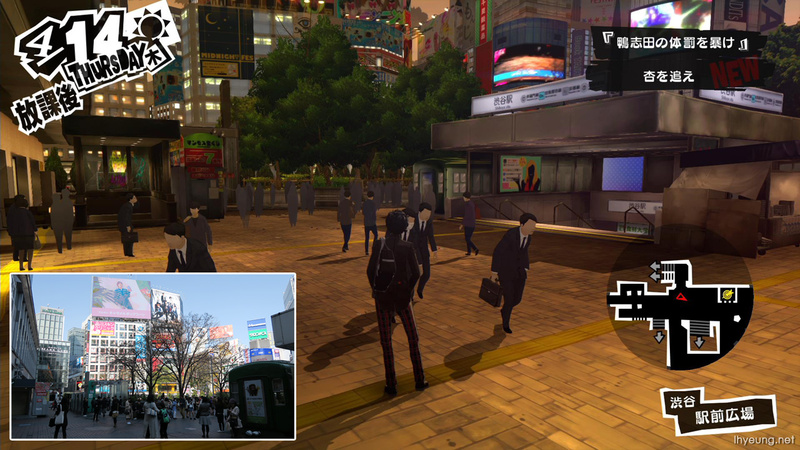 The more recent Persona 5 is also based in Shibuya mainly too of course and features plenty of the places above too. This is when you come out of the busy (and I mean busy!) Shibuya Station with the green tourist info bus on the right and the raffle tickets on the left. 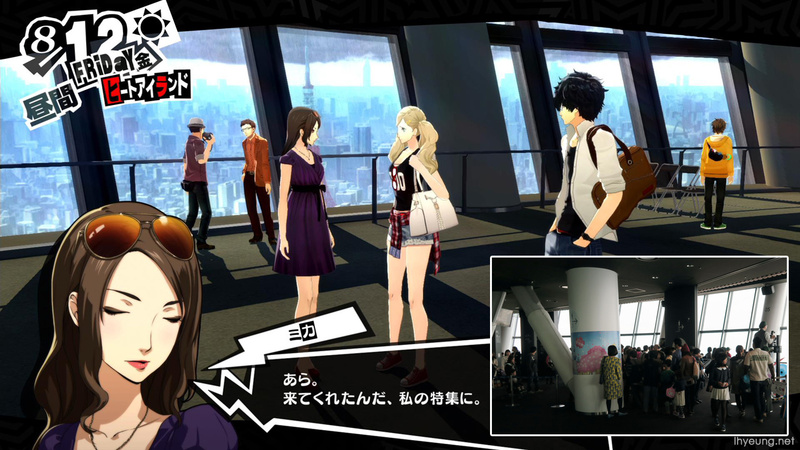 Persona 5 is a great JRPG, a refined game since Atlus hit the gold mine with Persona 3. Great music, great artwork, great gameplay. Should play it if you're a JRPG fan and maybe go for the platinum trophy while you're at it. 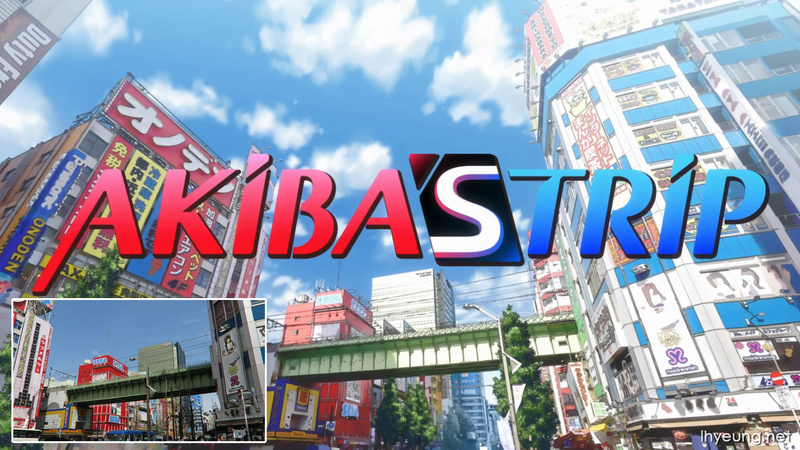 Next up we have Akihabara "geek heaven" featured in Akiba's Trip which is really better known as "Akiba Strip" because, it's based on a game where you strip people's clothes off to see if they're vampires or not... Anime's just filled with fan service for guys as you can imagine. Then here's the Radio Building featured in Steins;gate when you leave the JR station. Ikebukuro is a famous spot for Anime/Manga goods too, not just Akihabara so of course, it'd get featured along side Akiba in Steins;gate. 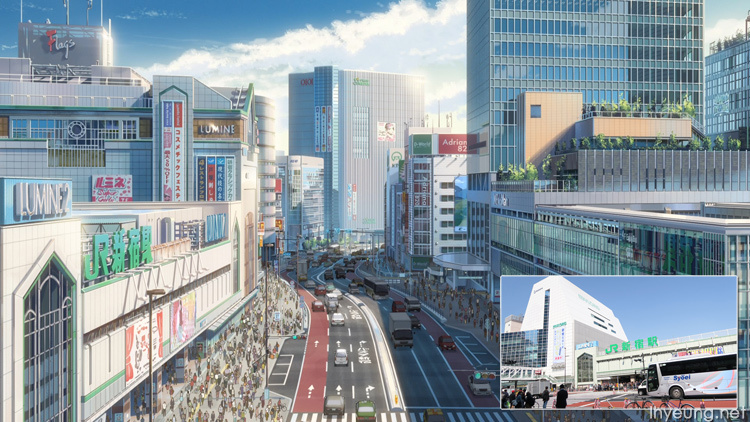 It's where you'll find the Tokyo Pokemon Centre and Evangelion Store. This is one of the streets that lead there, Sunshine Street. 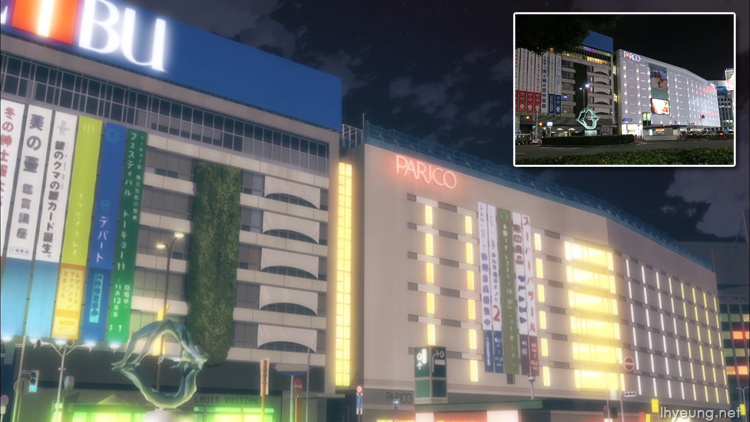 This was Parco, outside the Ikebukuro station. You'd probably recognise the iconic statue outside. Hinamatsuri's a fun comedy show which might sound sci-fi where an agent from the future ends up living with a Yakuza member. Sounds sci-fi but it can be very down-to-earth as it can be funny. 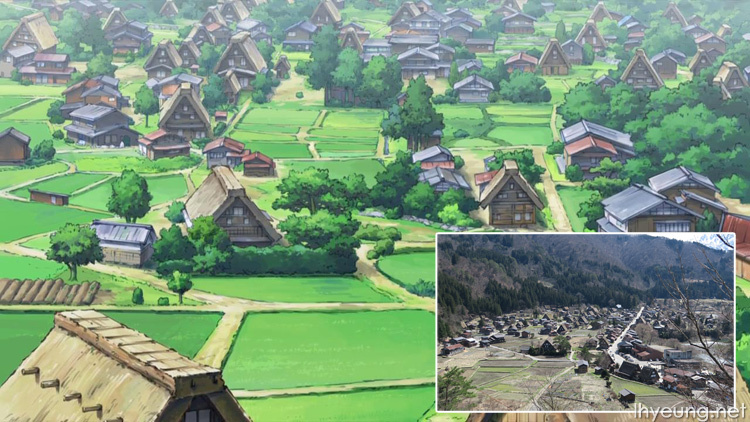 Probably not so well-known amongst Japanese fiction fans will probably be Shirakawa Village, a World Heritage site located far from Tokyo. This one I spotted in the remake of the Doraemon: Birth of Japan movie I think - art a bit more simplistic compared to Bakemono's renderings. Notice the Gassho style housing which is basically a triangular roof that resembles the tip of two hands touching together like when a buddhist is in prayer. 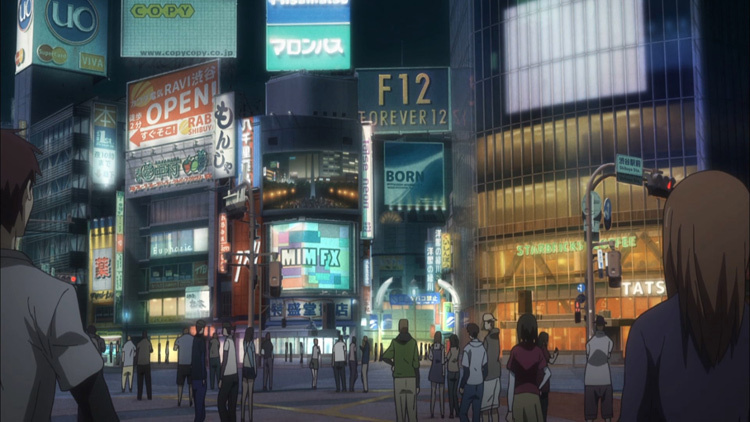 We also have the more recent Your Name which features Shinjuku Station of course but, it's not the first time Shinkai featured the place. And not exactly a location but it also featured the Hida Wide View Express train too. Personally, I don't think it can top 5cm as my favourite Shinkai movie but art was top-notch as with all his work since getting his own studio and team. 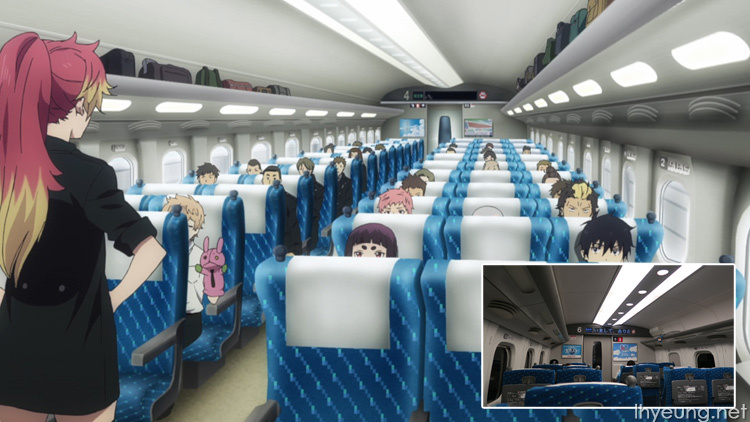 Then we have the Shinkansen (AKA Bullet Trains) from Blue Exorcist. The interiors remind me of airplanes but a lot comfier. Funny they're travelling standard class instead of Green (First) Class considering their status. As for the show? It's not a bad action show based on old shaman style evil and rituals. 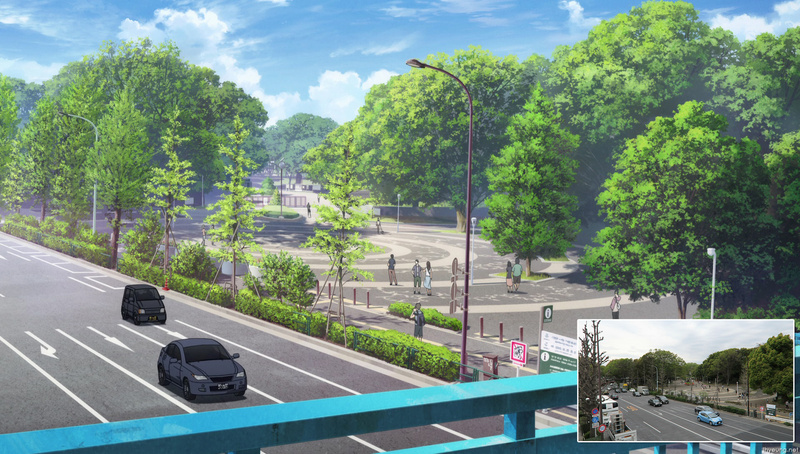 Yoyogi Park as seen from the walkway in Sword Art Online: Ordinal Scale movie. 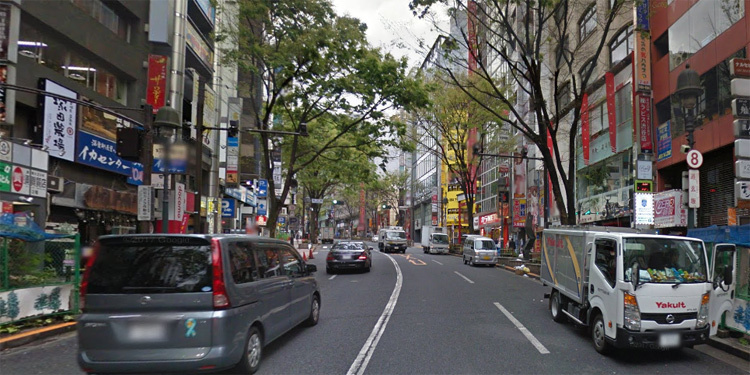 It's quite near Harajuku Station. Movie wasn't too bad an entry in the popular series. Kawagoe AKA "Little Edo" which is within range of Tokyo, famous for its black buildings from the 17 - 19th centry Edo Era, its old skool candy lane and iconic bell tower. 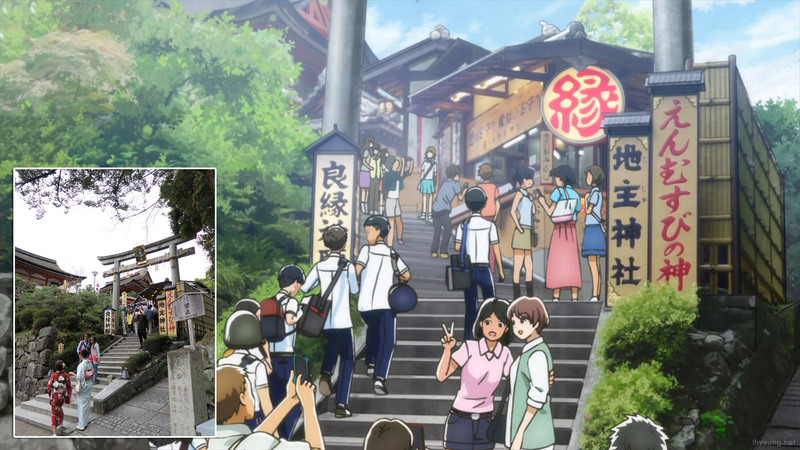 Of course, the school trips can't get away from Kyoto's Kiyomizu. No one can lift that staff. It's really heavy! 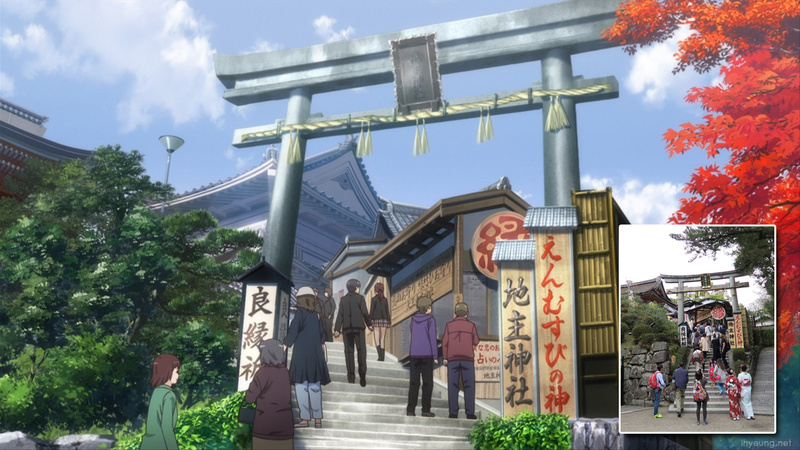 And since it's a romance show we can't miss the Shrine of Fate. The second season of this show is filled with locations from Kyoto, a popular tourist destination. It will probably be part of most people's first trip to Japan. 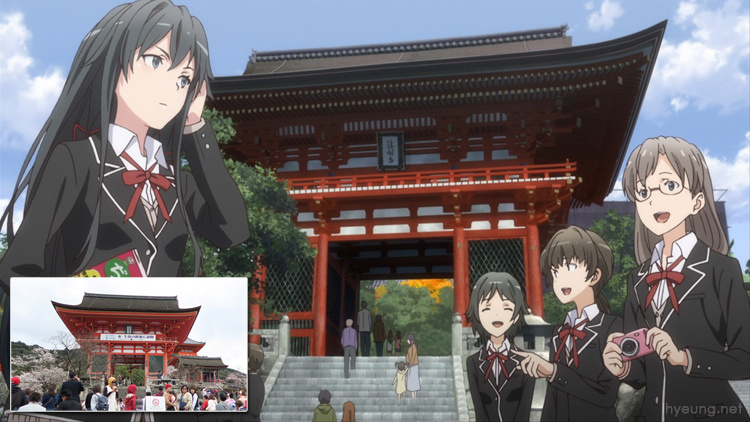 First up is the main gate of Kiyomizu Shrine you see as soon as you've climbed up the long slope. Can't forget the shrine of fate. Or the cleansing drinking water. 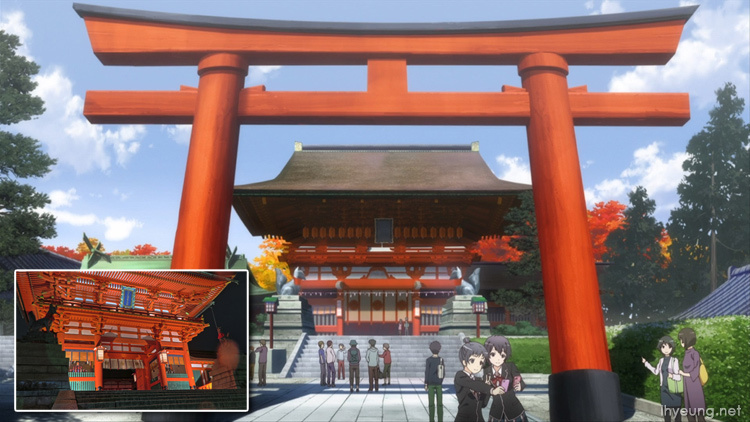 Then just 5 minutes train from Kyoto Station is Fushimi Inari, famous for it's Thousand Torii Gates trail. The Arashiyama bamboo grove was part of their school trip too. The show is great comedy and very distinct too as you watch the characters try to outwit each other and as a result, gradually grow to help them blend into society. Anyway, I'll probably keep updating this post as I spot more representations of real world places... 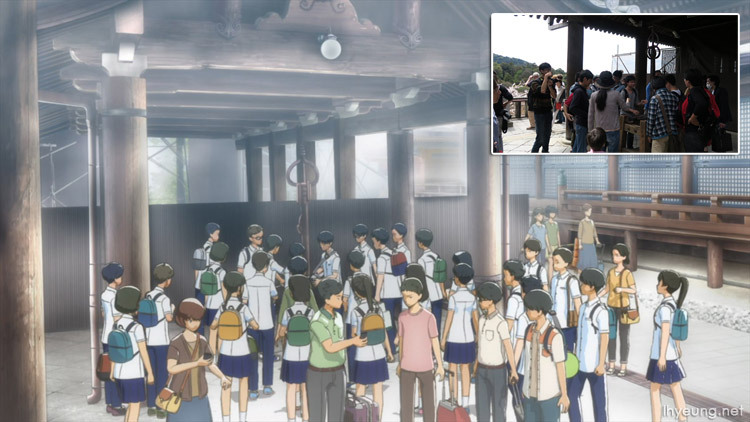 It's interesting to see how artists re-create real world locations - what they choose to keep in their fiction and what they remove. 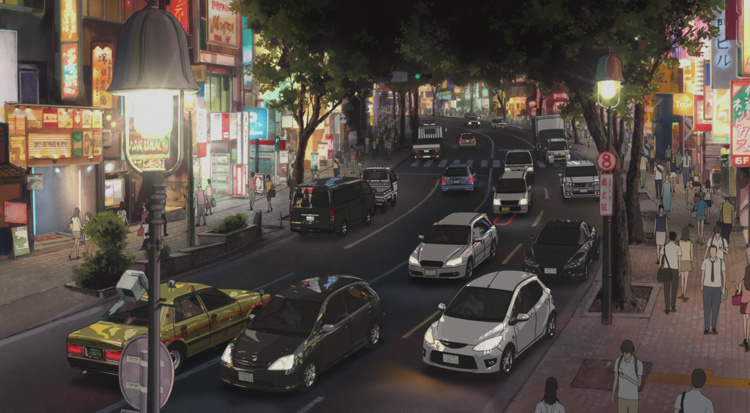 Interestingly enough, according to a study by the Development Bank of Japan, the Anime industry is thriving enough to be of value to Japan's economy with movies such as Makoto Shinkai's Your Name making 2.35 billion Yen in 2016. 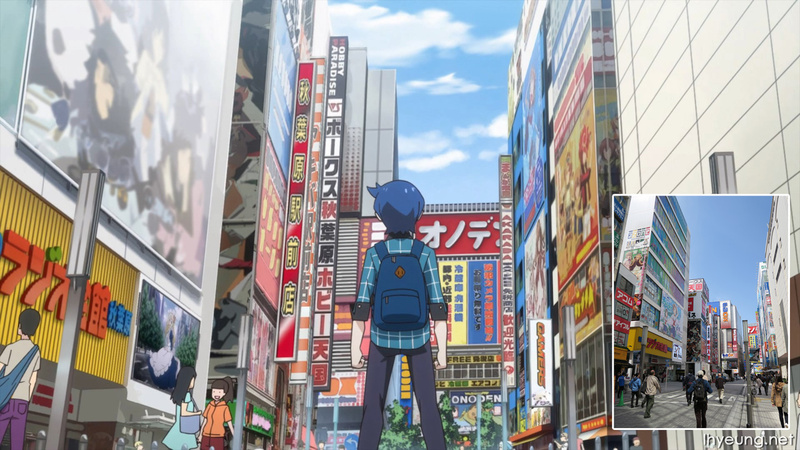 Shows like Lucky Star alone brought 3 million visitors to the real world locations and, Anime and video games are one of the top 10 reasons people visit Japan. It's probably one of the reasons why I visited too even though I'm more of an introvert. 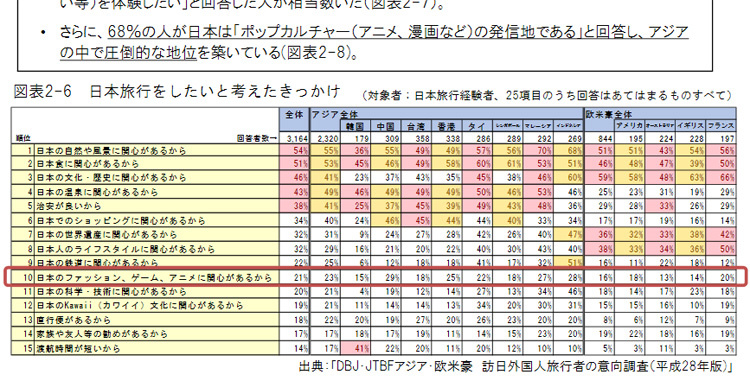 The majority is still for Japan's scenery or culture too of course and, those were also a big part of the motivation too since I grew up watching a lot of Anime and Japanese TV programmes. 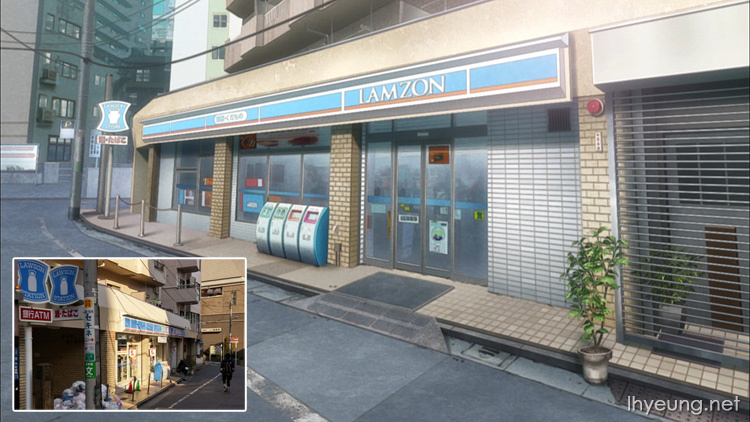 It's actually kind of fun trying to find these places like when I went location hunting for Makoto Shinkai's 5 Centimetres per Second. It gives you a goal as you go exploring places you usually wouldn't go to and that isn't a touristy spot.